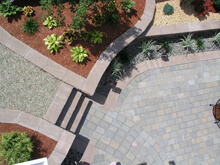 Landscaping Company & Lawn Care Services in Melrose, MA | Done Right Landscape & Construction Company, Inc.
From outdoor construction to the design and creation of a stunning backyard, have it done right the first time with the full-service assistance of Done Right Landscape & Construction. One of the leaders in the landscape construction industry, our team of expert landscapers has been serving the Middlesex & Essex County areas for over 30 years. This includes residential and commercial landscaping projects in Wakefield, installation of fences in Lynnfield, designing charming gardens in North Reading, and so much more. When it comes to the most wonderful outdoor spaces, our contractors are all you’ll ever need. Whether you’re looking for residential landscaping services to include a pool decking area, a functional retaining wall, new patio, courtyard, or an inviting walkway to your front door, we have the perfect design for you. 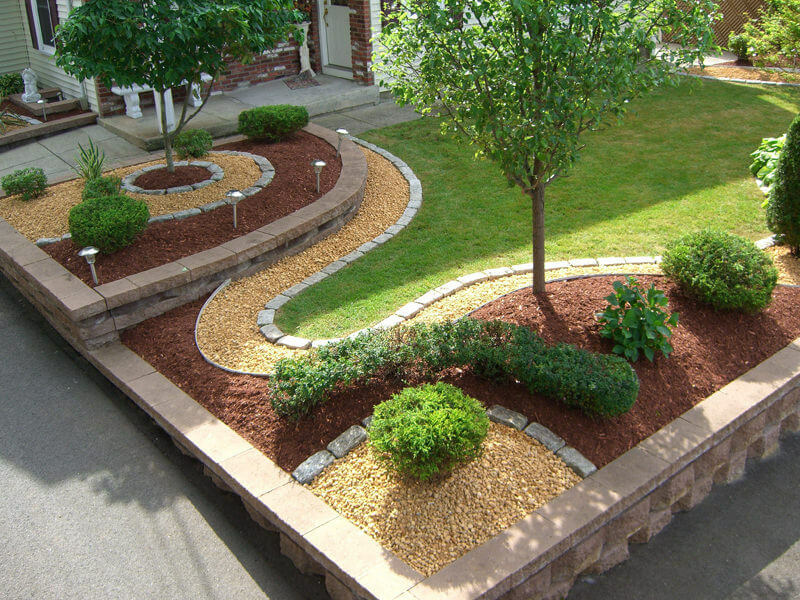 Our team specializes hardscaping and asphalt paving. 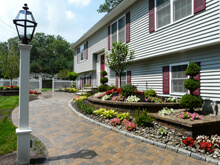 Our professional landscapers are the best in the business and our work has stood the test of time. Our landscaping approach to design/build is unique. It offers our clients the opportunity to work directly with a landscape designer to create a customized design. Our staff likewise understands the importance of adhering to the budget and delivering our services on schedule. Our contractors and designers work with you from start to finish and the end result is always of the highest quality. At Done Right Landscape & Construction, we provide high-quality installations of vinyl, steel, aluminum, and wooden fences. Using the best product in the industry, paired with our unparalleled craftsmanship, and exceptional customer service, we ensure you will love the new addition to your landscape. Whether you prefer semi-privacy, lattice, chain linked, or another style, we can do it all. Stonescaping is an ART and when designed by Done Right Landscape & Construction it can significantly increase the value of your property, while decreasing your long-term maintenance cost. At Done Right Landscape & Construction we give you low maintenance designs that will save you time and money for many years to come. Stone is Forever and that makes it a very wise investment. Done Right Landscape & Construction passionately serves the Middlesex and Essex Counties in Massachusetts. This includes Wakefield, Lynnfield, Saugus, and more. We bring a “do it once, do it right” attitude to every job and it has been a key to our success. 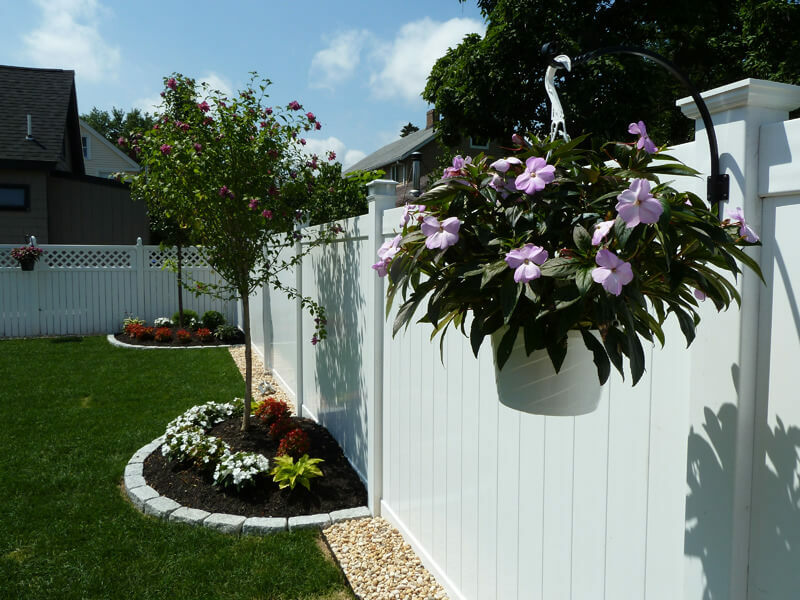 For inquiries about any of our landscaping, fencing, and construction services, call 781-858-8000 or fill out an online contact form! Done Right Landscape & Construction team has vast knowledge and experience in the Landscape Industry with over 30 years of know how, we understand your needs! As Previewed on HGTV Done Right Landscape & Construction is a 5-Time Award Winning Company, our talented staff have expertise in all phases of Landscaping, construction and with a specialty in low maintenance landscape designs that will save you time and money. “Work with great Passion and enthusiasm” is Done Right Landscape & Construction company motto. We truly Love what we do and we enjoy giving our customers something they will enjoy for many years to come. Done Right Landscape & Construction are here throughout the entire process, from A to Z with personal one-on-one service, making your experience easy, fast and highly effective. “Best landscaping company that I have ever worked with. Done Right Landscape is Trustworthy, Dependable and Reliable. I can’t say enough about the quality of work they do. They listened to my concerns and gave me the professional advice on what needed to be done. I knew that I could trust his expertise. In the end Done Right gave us the backyard we’ve always dreamed of having and we couldn’t be happier. Thank you Done Right! I look forward to having you guys back in the near future for a fall clean-up.” -Emily H.
We are so pleased with the landscaping job that you did in our front and back yard. The lighting and water features in both areas are amazing. Your selection of trees, plants and patio pavers were exactly what we had in mind—even more than we had hoped. The cement work and overhang are absolutely beautiful and very functional. Working with you and your staff was a pleasure. professionalism of you and your entire staff. Your workers were always prompt, considerate, extremely hard working, and cleaned up thoroughly at the end of each day. Even our neighbors commented on how professional and kind your workers were. We also appreciated the fact that you stayed on schedule and you were in daily contact with us to assess any needs, concerns or questions that we had. Our guests are so impressed with the beauty of the landscape. Thank you for truly creating our “Dream Outdoor Living Space” for us at our home. We would gladly recommend your work to your prospective clients with confidence of knowing it will be Done Right.. Done Right Landscape was superior. We highly recommend Done Right Landscape for all your home beautification needs. Done Right Landscapes design team were professional, courteous and really embraced all of our ideas with their knowledge and experiences. My wife and I are well pleased with the outcome of our front and backyard and we highly recommend Done Right Landscape and Construction to everyone. We will be using their services in the near future. Also, the supporting staff at Done Right Landscape were available at all times for questions and or concerns and were well extremely knowledgeable.